Ugh, is it seriously Sunday already? I can’t believe how quickly the Thanksgiving long weekend flew by! This year we celebrated “Thanksgivmas” with my in-laws, with Christmas presents & jammies on Thursday morning, followed by a more formal turkey dinner in the evening. It was so nice to get into the Christmas spirit a little earlier this year, and even though we felt a bit sad after the family festivities were over, we realized that the official holiday countdown has only just begin! I still have a full week of Christmas celebrates with my side of the family to look forward to in Canada. 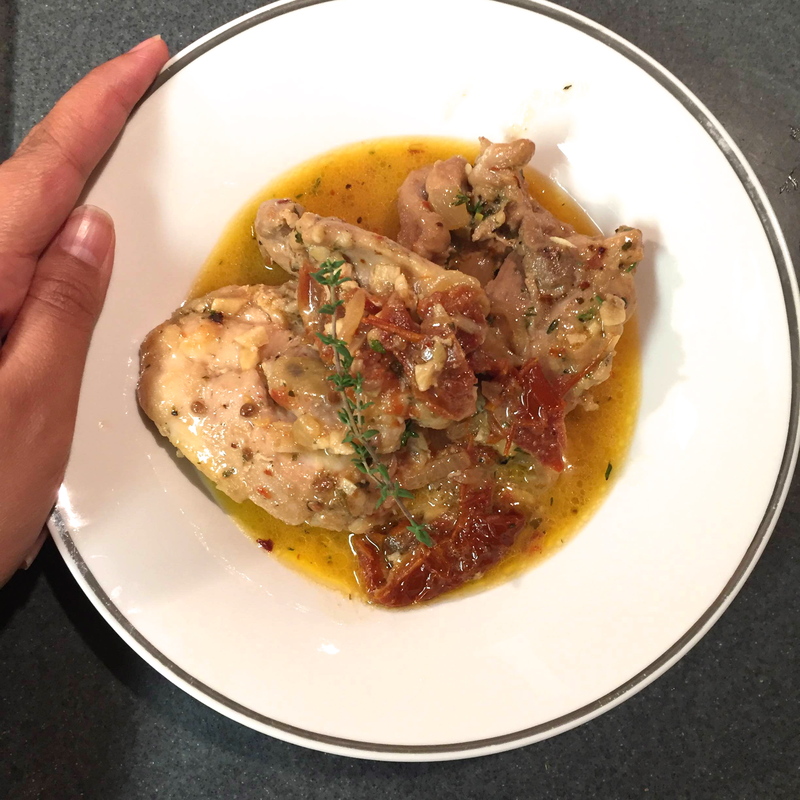 I seriously cannot wait to gorge on my mom’s amazing food and steal–I mean, learn–more of her delicious recipes :). SO. EXCITED. Anyways, we’re battling some serious Sunday blues here in the Gupta household, so we decided to whip up some homemade Indian food to cleanse our palate from all the decadent eating we’ve been doing over the long weekend. If you follow me on Instagram, you know what I’m talking about! Also, my husband bought me these amazing kadhai dishes as part of my early Christmas gift, and I was just really excited to test them out. I’ve been making a lot of fish and chicken lately, and wanted to try out a new shrimp recipe tonight. 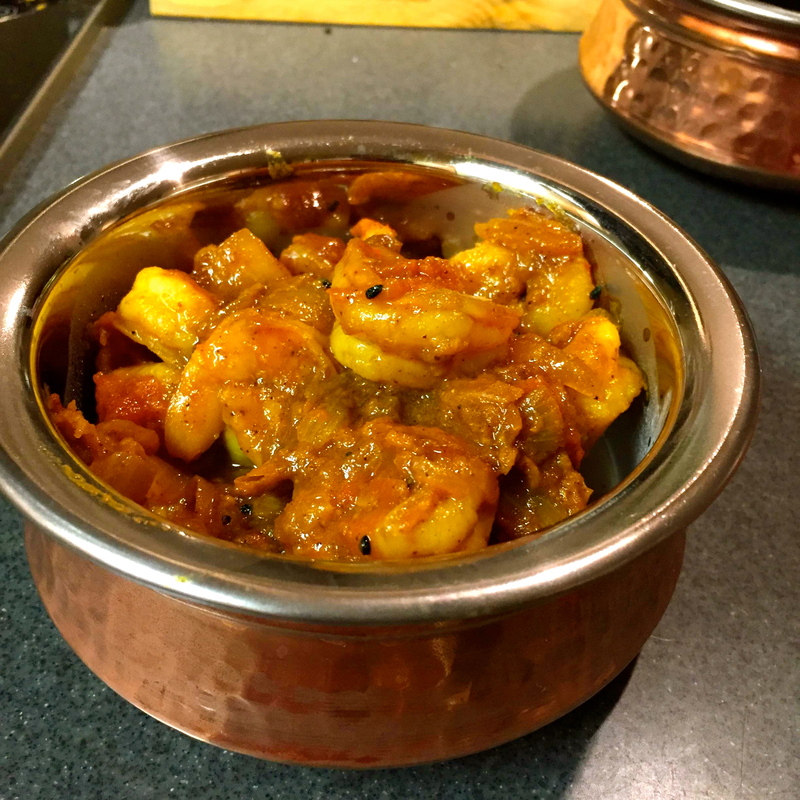 My go-to recipe for shrimp curry involves heavy coconut milk, and I was in the mood for something lighter. 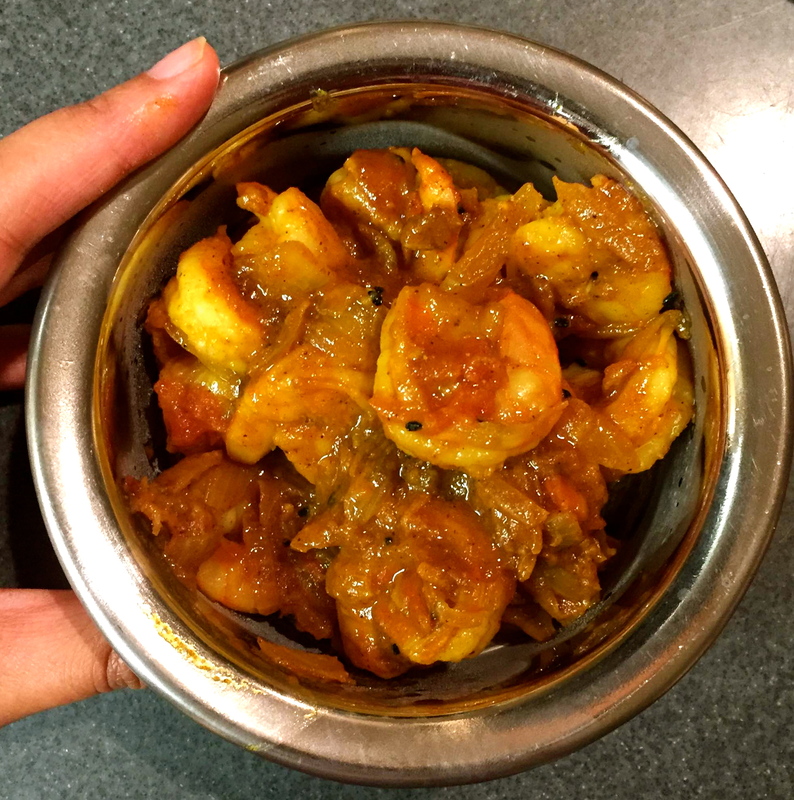 I drew some inspiration from this Prawn Patia dish but added some Bengali spices and simplified a few of the steps. 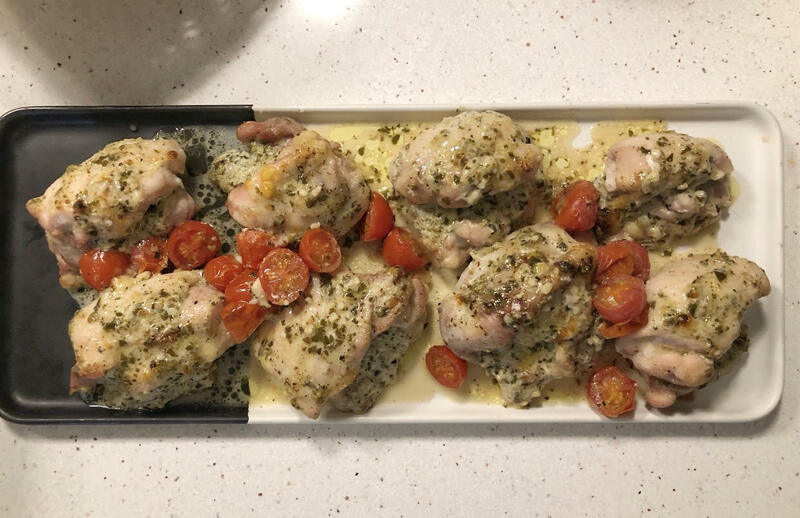 I was shocked by how delicious this dish ended up tasting! I love love love adding some sweetness to my curry (true Bengali) and I couldn’t get enough of the sweet and spicy combination. So good, I just had to share with you guys. Enjoy! 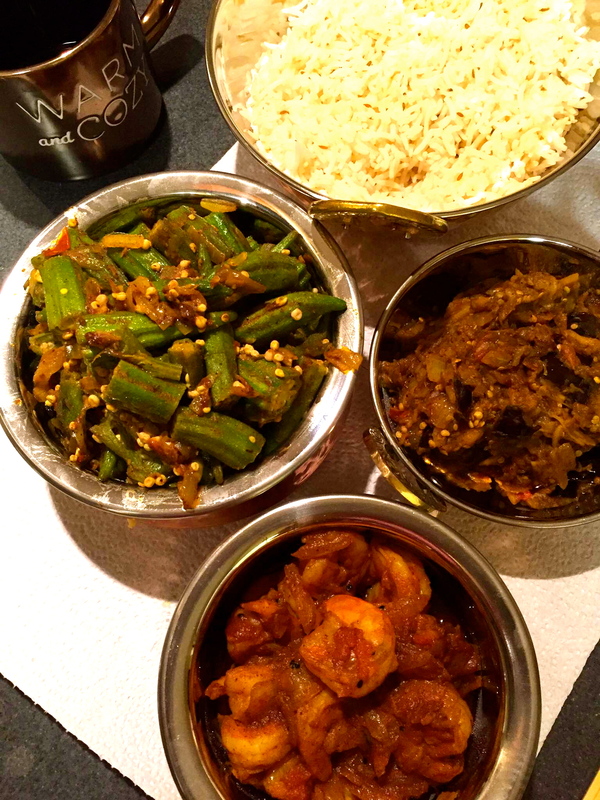 Full spread from tonight’s dinner – bhindi masala, baingan bharta, and sweet & spicy shrimp curry! How cute are my new kadhai dishes?! Heat the oil on a large saucepan. Once heated, drop in the kalo jeere for a few seconds. Then fry the onions until they begin to brown slightly. Add the grated garlic and ginger paste and mix together with the onions and kalo jeere. Add the tomatoes and stir continuously until the oil begins to separate. Add salt and the remaining spices (red chilli powder, turmeric powder, cumin and coriander powder) and keep mixing for another few minutes. Add the sugar cube and stir until it mixes with the onions and spices. Add water and vinegar and cook until the tomatoes are fully cooked with the spices. Drop in the shrimps and cook for a few minutes with the onions and spice mixture. Stir continuously until the shrimp is fully cooked through (around five minutes). Garnish with cilantro and enjoy with hot rice! ‘Tis the season for turkey, but I have to admit, I’m always going to favor chicken over turkey. I didn’t grow up celebrating Thanksgiving, but after my family migrated to Canada, we always chose roasting a chicken over trying to handle a big bird. 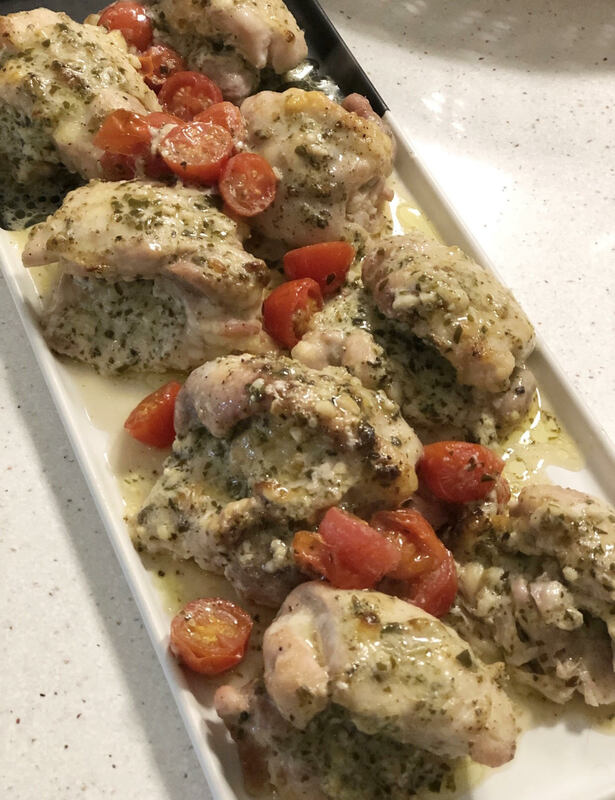 Chicken is just so much more juicy and flavorful! Anyone else with me?! 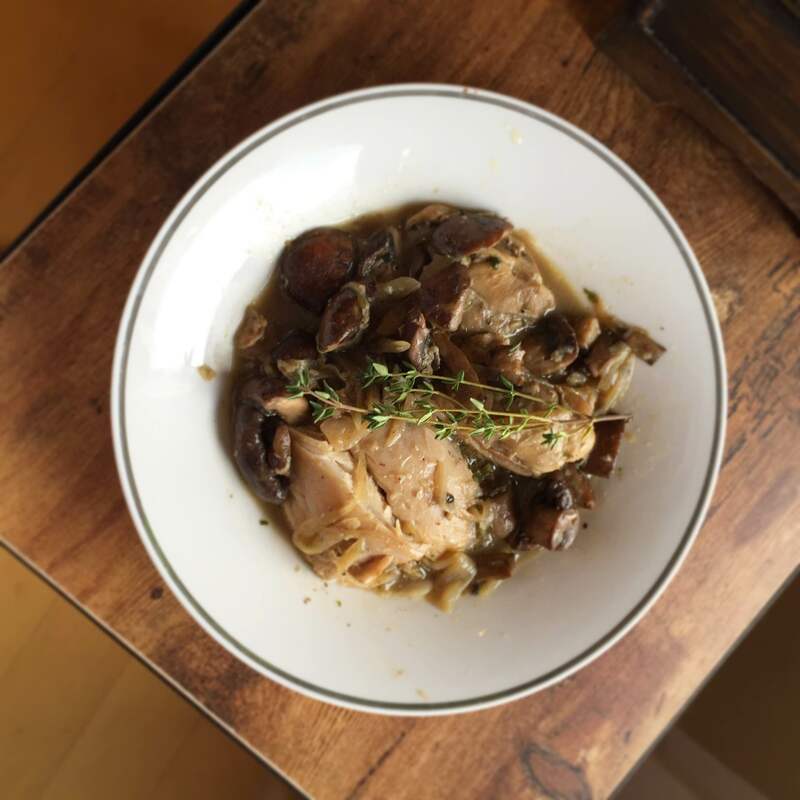 Anyways, today’s recipe is one of my favorite chicken dishes that would make an excellent non-traditional side for a Turkey Day meal. Or an entree for after Thanksgiving, when you’re sick of all the leftover turkey and craving something new. 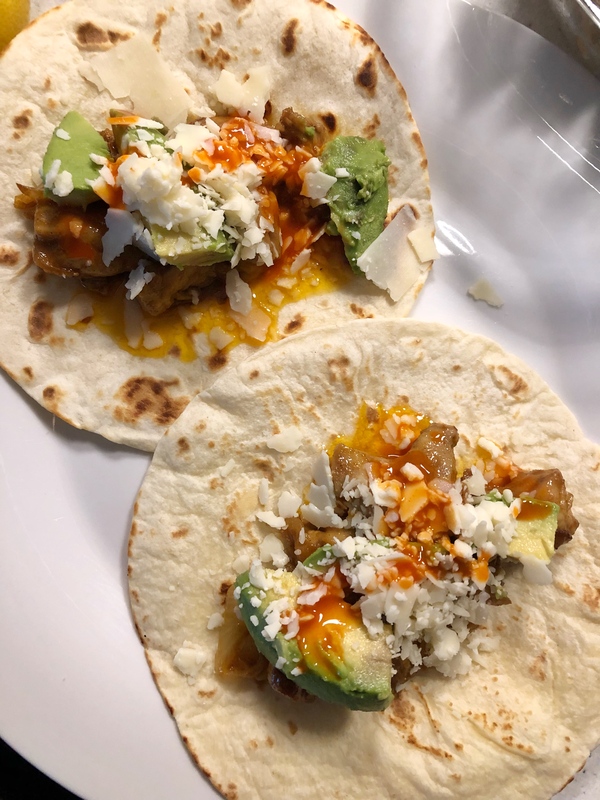 I first discovered this recipe on Damn Delicious, and simplified it even further for the lazy (or time pressed!) cook. My version is really really ridiculously simple, but impressive enough for guests and still damn delicious. Trust me, you won’t be able to stop licking your plate. 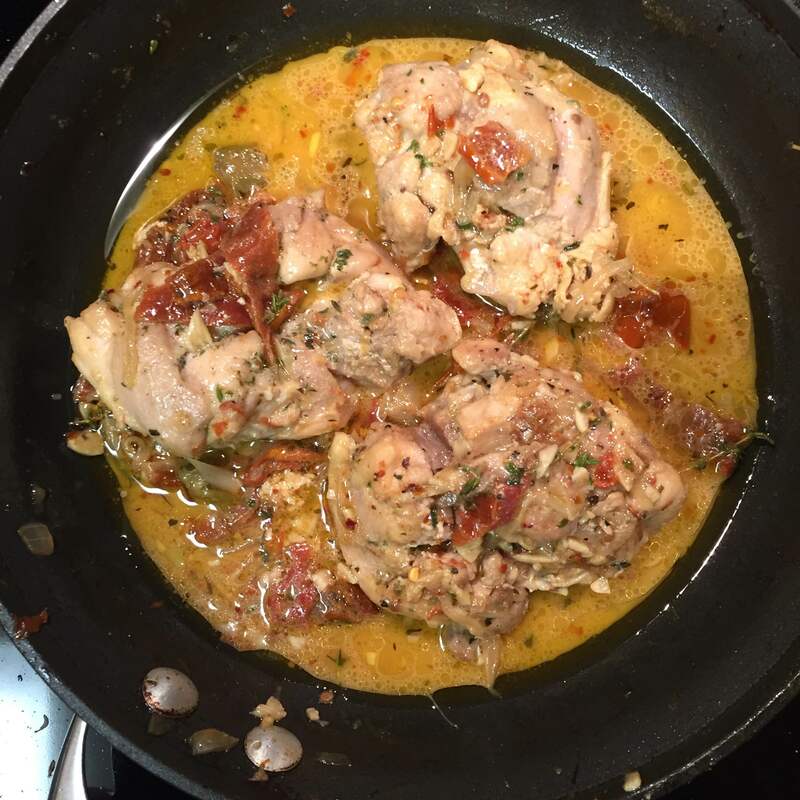 My husband doesn’t even like sun-dried tomatoes, but he loves everything about this chicken and always asks for it. Marinate the chicken in salt and pepper, to taste. Melt the butter on a large saucepan on high heat. Once heated, fry the onions and garlic till the mixture becomes slightly translucent. Add the chicken thighs, fry on each side for a few minutes until they begin to brown. Add the sun-dried tomatoes and allow the thighs to fry a little longer in the olive oil. Lower the heat to medium and add the chicken broth, cream, and parsley flakes. Stir everything together and add more salt if necessary. Cover until the chicken is fully cooked, then garnish with thyme leaves. Best served with pasta, or just a side salad and some garlic bread to soak up all that delicious gravy. Yum! 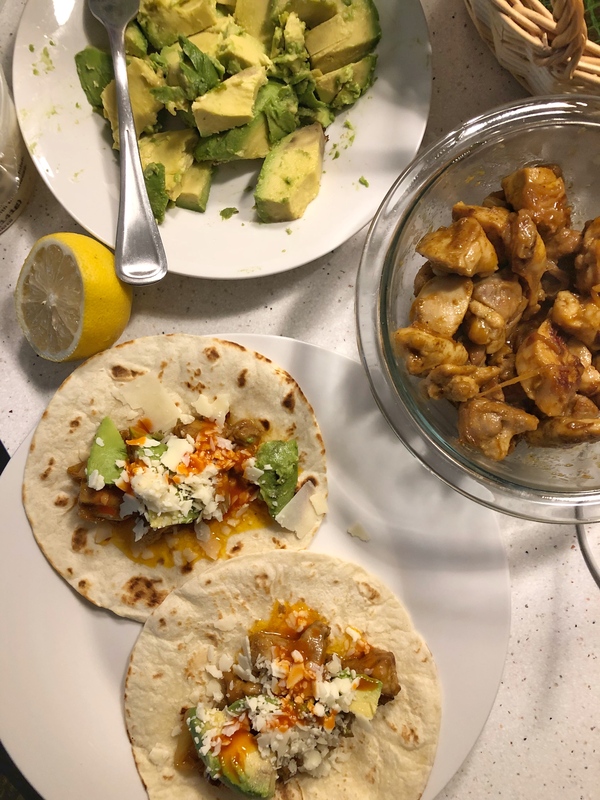 Let me know if you guys try out the recipe and don’t forget to subscribe by email (to the right) so you can get immediate updates. You can also like me on Facebook. Happy almost Turkey week!